Nandinas tall and short – I think the variety on the left is Purple Passion. 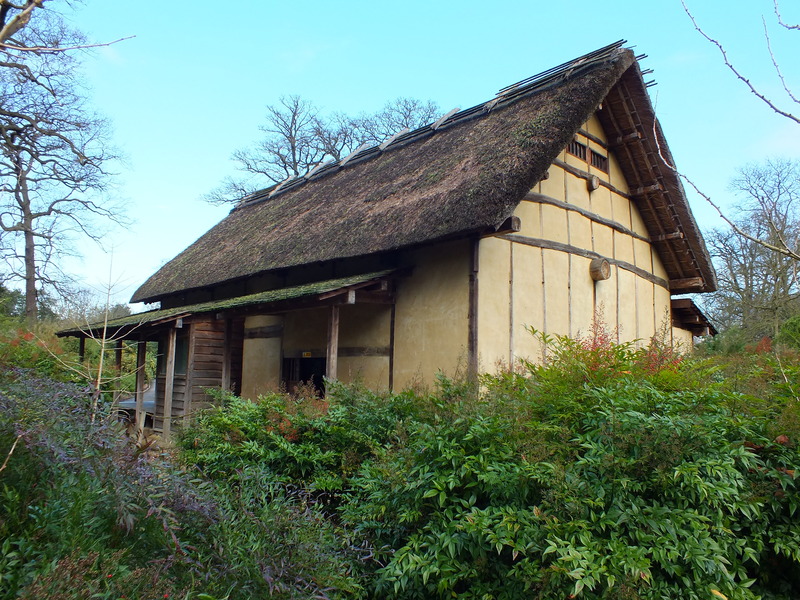 A favourite plant, this, and worthy of the name Heavenly Bamboo – though it is not a bamboo. 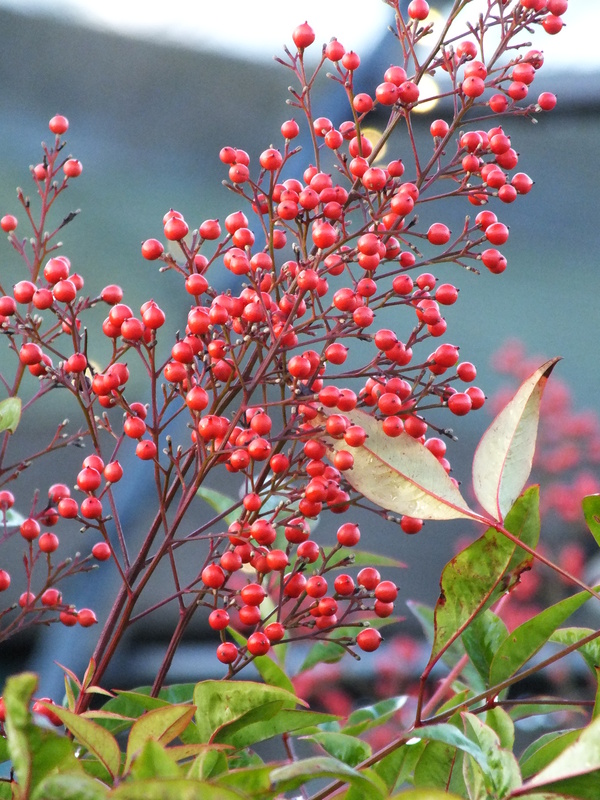 Nandina are in the Berberidacea family, though they bear little resemblance to a Berberis, and they have no spines. 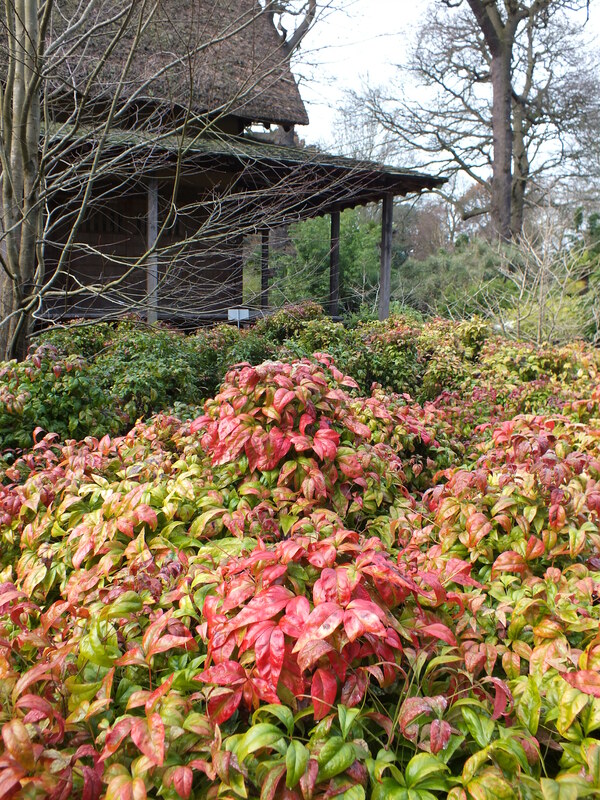 Nandina domestica hail from China, though were introduced from Japan in 1804 (according to Graham Stuart Thomas – his book on Ornamental Shrubs has yet to be put away). Erect, unbranched, bamboo-like stems, carrying wide, compound leaves divided into many small, narrow segments. 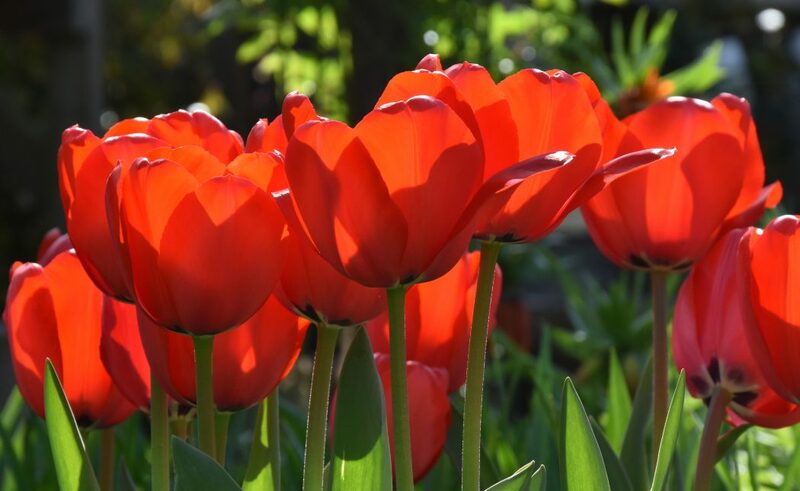 They are often richly coloured when young and become burnished in autumn and winter, a fitting setting for the late flowers. These are tiny, with yellow stamens, borne in large, branching panicles. There is nothing like it. 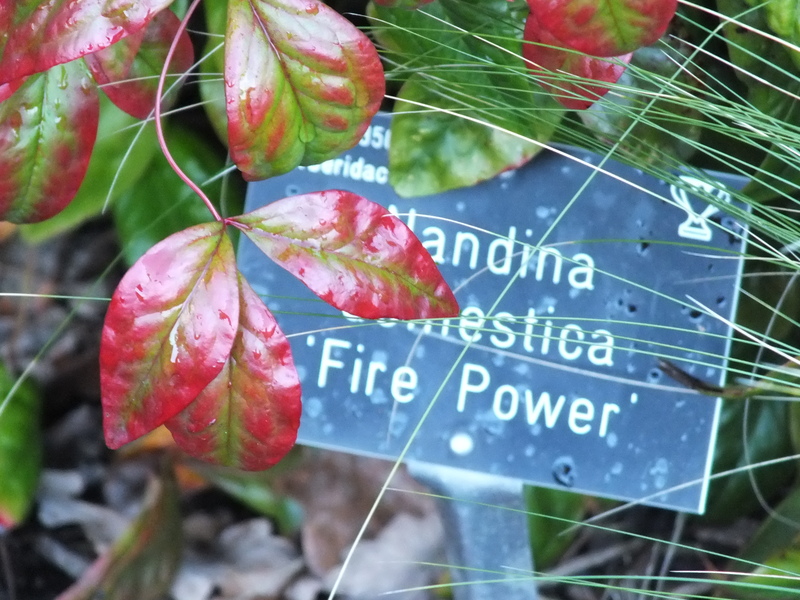 Nandina domestica Firepower – noted for its red leaves in autumn and during winter. A dwarf plant. Nadina domestica Richmond – reputedly free-fruiting and also self fertile. Good leaf colour in spring and autumn. Evergreen, flowering, fruiting, with richly coloured leaves – and none of the invasive characters of some of the more pernicious bamboos. Excellent. 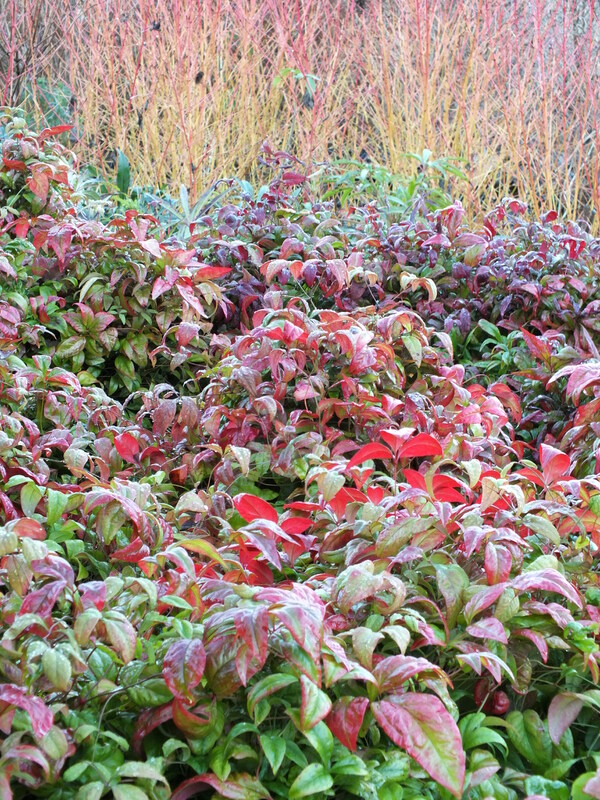 Nandina domestica Firepower – beautiful rich in winter colouring, used in the planting by the entrance to RHS Wisley – contrasting with dark hellebores and bright stems of dogwood. Must break off now – two episodes of The Bridge || Broen || Bron – to catch up on this evening!